Streets and Alleys | Save It! 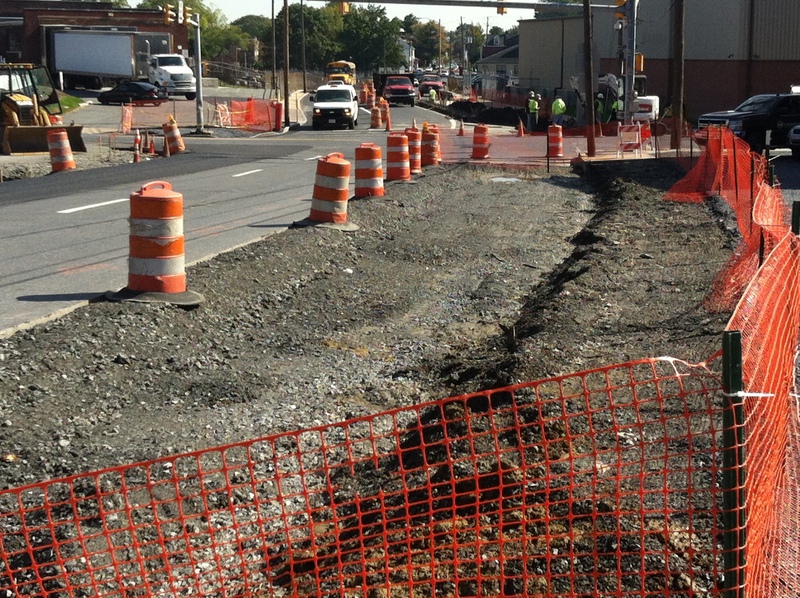 As construction begins along Mulberry and West James Streets you should notice an immediate (and green) difference when you reach a corner crosswalk. Beginning last fall City contractors started to install these vegetated curb extensions / rain gardens and this spring they were planted. 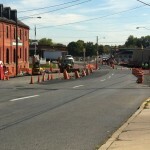 West James Street will soon be paved and Mulberry Street will begin its conversion to a complete green street soon after. 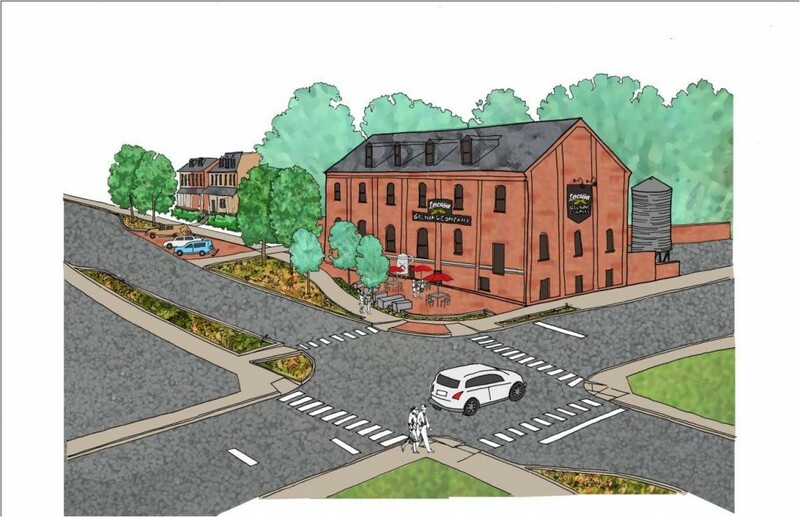 The first of its kind in Lancaster City, Mulberry Street will go back to a two way street (instead of one) and will boast bike lanes, permeable paving, vegetated curb extensions / rain gardens, newly planted trees and much more. 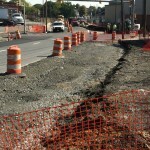 Storm-water piping installation beneath Mulberry St.
Liberty Street recently opened to through traffic after a lengthy construction process that included many green infrastructure aspects that combined capture approximately 1.3 million gallons of water annually. 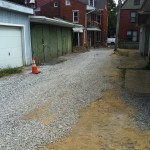 Most City homes boarder an alley and a majority of those are Common Alleys where each property owner shares ownership and responsibility for the upkeep and maintenance. 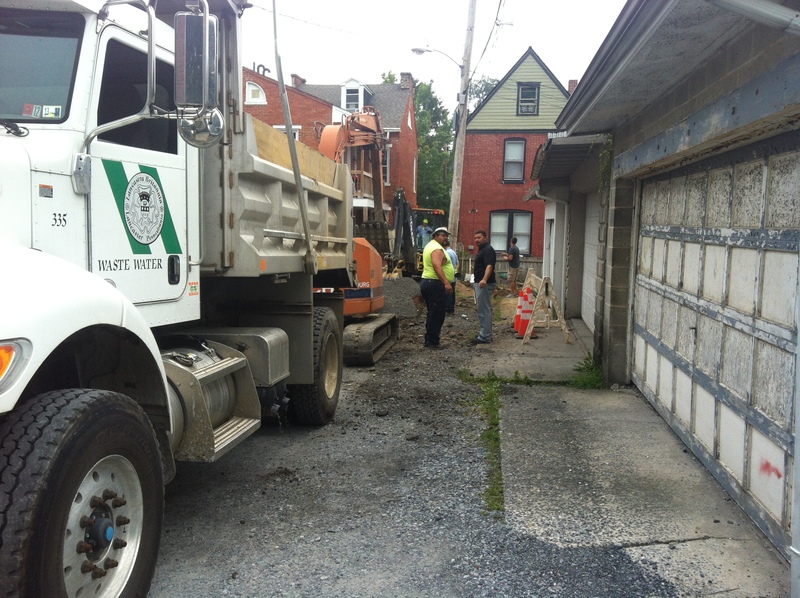 It’s with this in mind that the City has piloted a project to work with property owners to help with upgrades to their alleys while also increasing capacity to capture stormwater. The Brewery Alley is located along E Walnut Street. Construction was completed in the fall of 2014 and it is estimated that the alley will capture nearly 150,000 gallons annually. 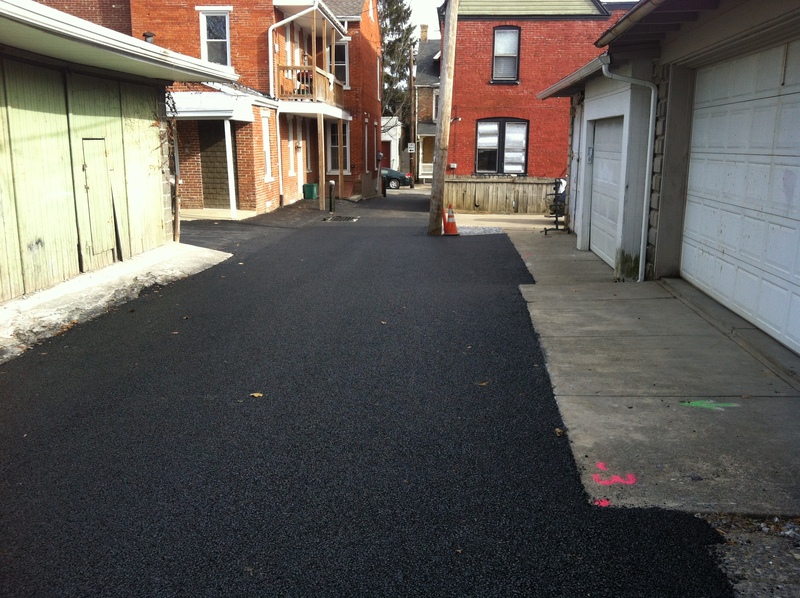 For more information on green streets and alleys click here (PDF). 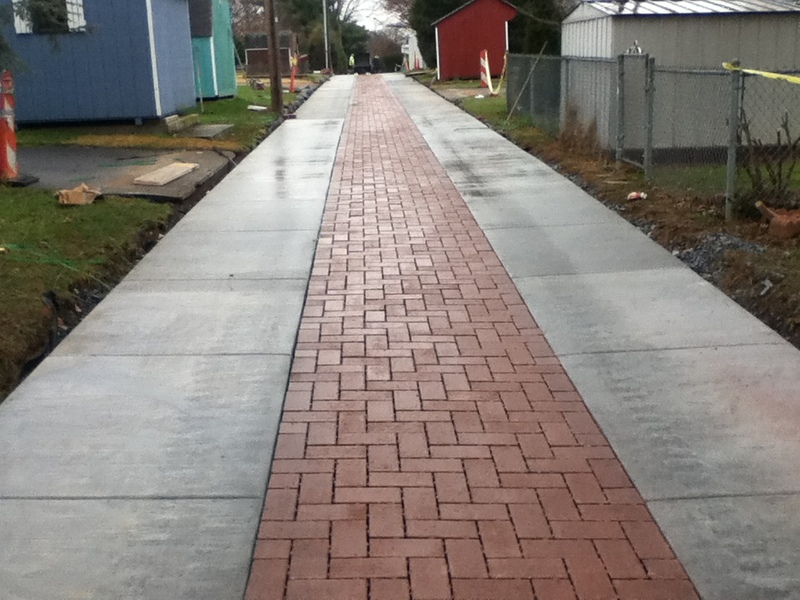 Common Alley 117 runs parallel to W Orange Street between Mary and Pine Streets in North West Lancaster City. 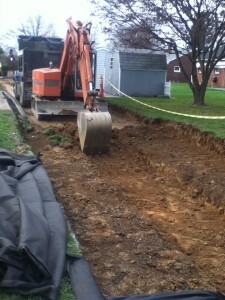 It is the first alley to go to construction with support from the Department of Environmental Protection Growing Greener Fund. 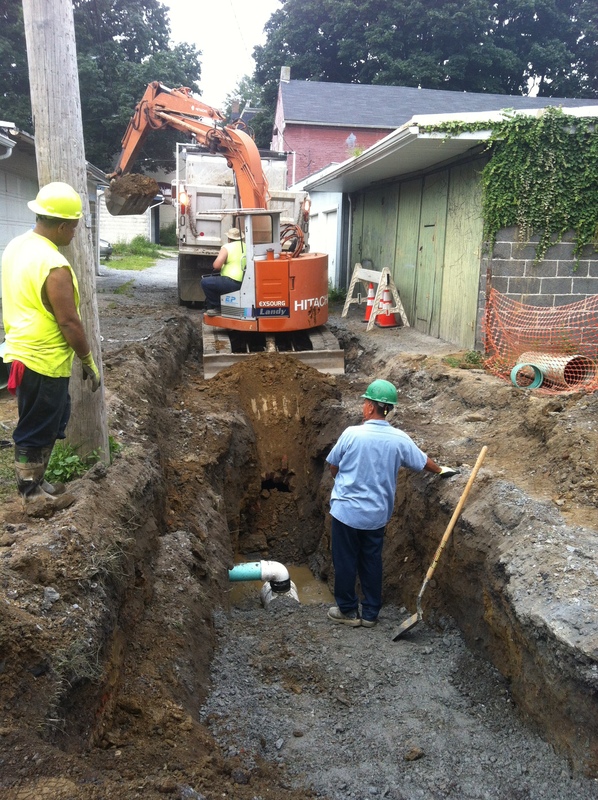 As with many alleys in Lancaster City Alley 117 is commonly owned, which means the responsibility for repairs and upgrades is shared amongst all property owners that border the alley. 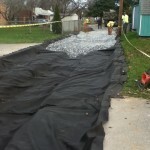 The City of Lancaster and Lancaster County Conservancy have worked hand-in-hand with all the property owners through multiple community meetings to incorporate suggested improvements while educating them on the benefits from repairs to their alley that will also serve as stormwater storage facilities reducing localized flooding. 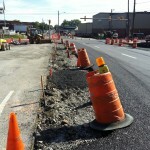 The project integrates green infrastructure with road realignment to improve traffic and pedestrian safety. 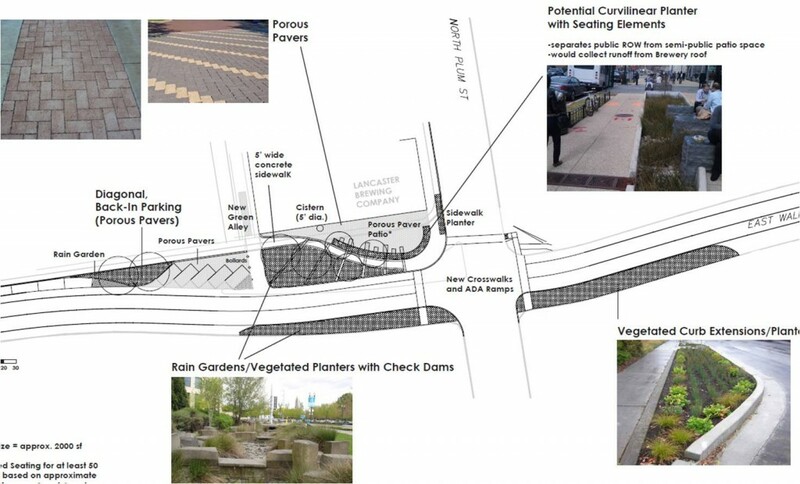 It will feature a series of vegetated curb extensions to capture stormwater and calm traffic, a new permeable paver patio space for the Lancaster Brewing Company and back-in permeable parking. 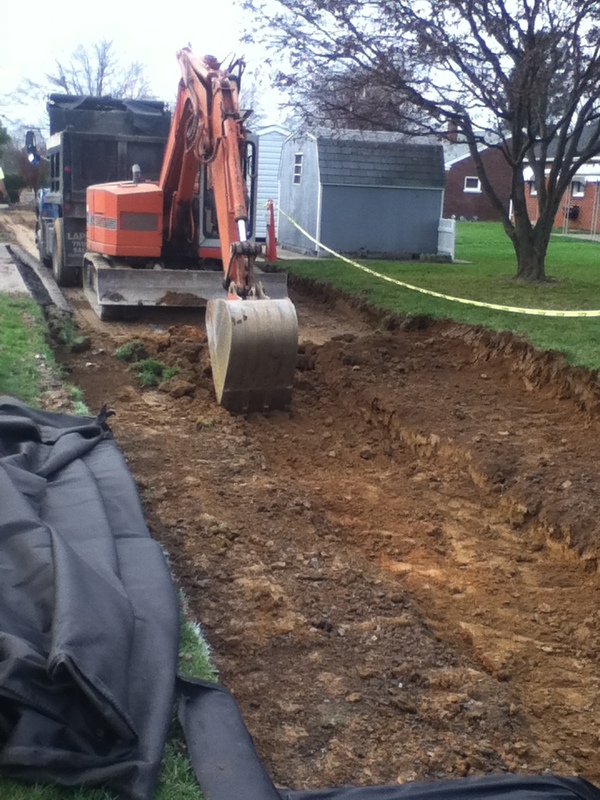 This project will capture 1.7 million gallons of stormwater annually. For more information on green streets and alleys click here (PDF). 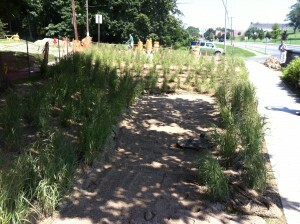 Walnut and Plum recently won the Best Urban BMP in the Bay Awards (BUBBAs) which recognizes the best urban stormwater management practices (techniques, measures or structural controls used to manage the quantity and improve the quality of stormwater runoff) that have been installed in the Chesapeake Bay watershed. 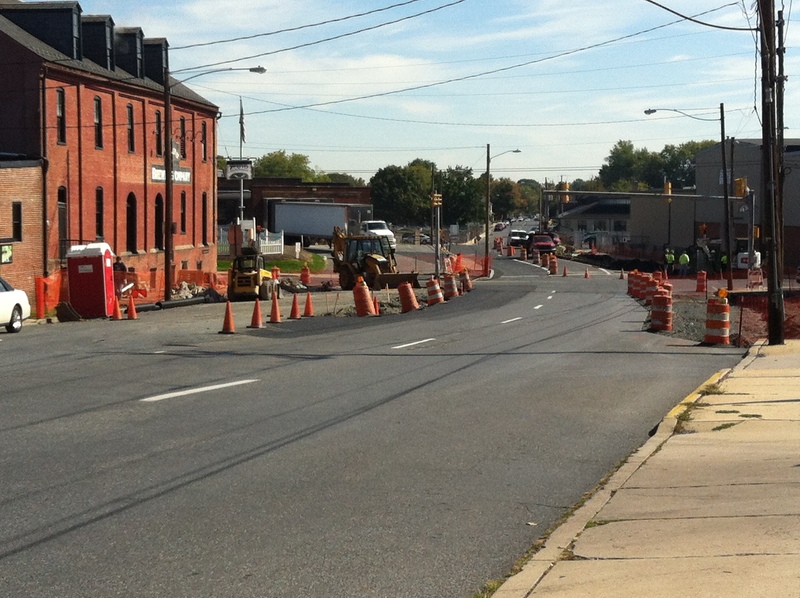 The reconstruction of the intersection at Plum and Walnut Streets was nominated for the BUBBA as an Ultra-urban BMP. 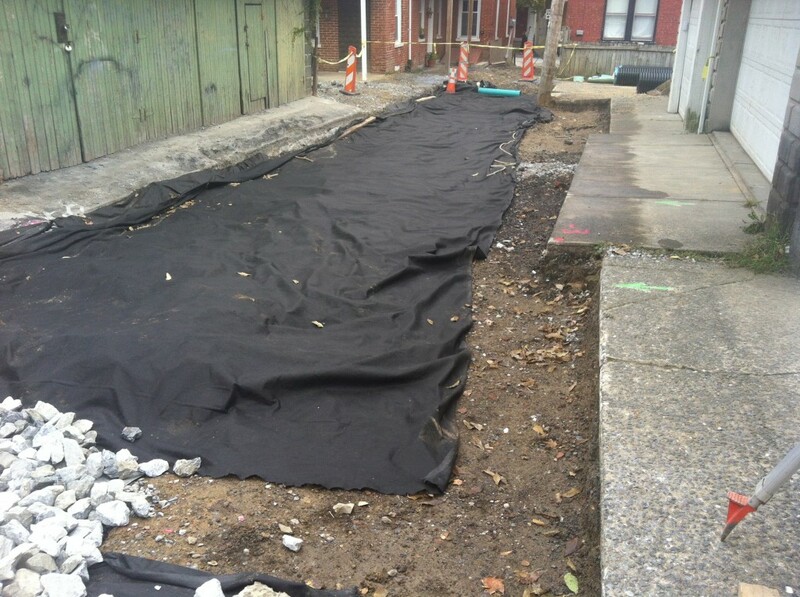 Ultra-urban BMPs are stormwater practices built in infill or redevelopment projects in urban areas with more than 75% site impervious cover. 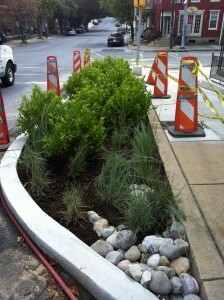 As you drive around the City you may begin to see corner curb extensions that look something like the photos below. These Bioretention areas (often called rain gardens) are shallow surface depressions planted with specially selected, native vegetation to treat and capture runoff and are sometimes underlain by a sand or gravel storage/infiltration beds. 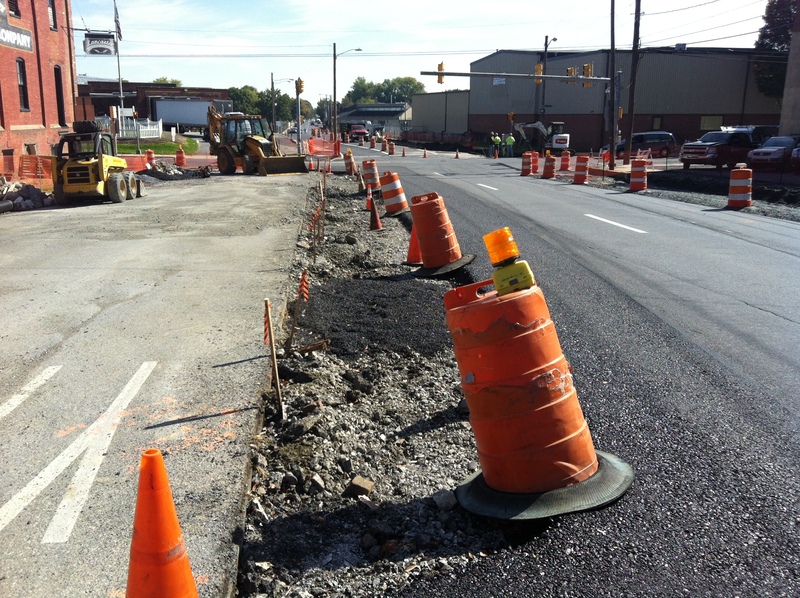 The Broad St. and Dauphin St Intersection (completed in 2012 and pictured above) integrates green infrastructure with a road realignment project to improve traffic safety. 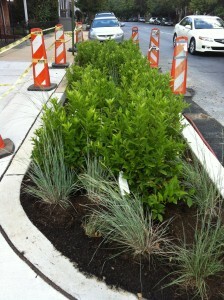 It features a series of vegetated curb extensions (bioretention) to capture stormwater and calm traffic. Bioretention is a method of managing stormwater by pooling water within a planting area and then allowing the water to infiltrate the garden. 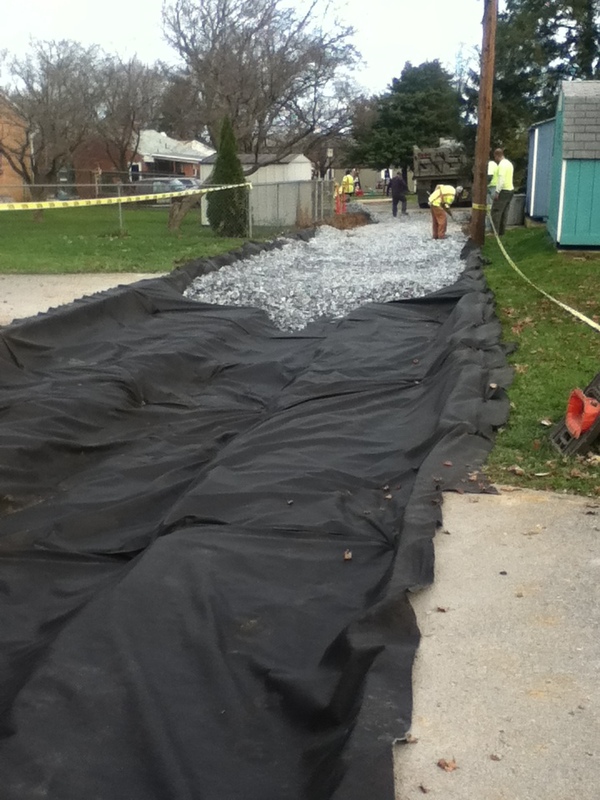 In addition to managing runoff volume and mitigating peak discharge rates, this process filters suspended solids and related pollutants from stormwater runoff. Expect to see more examples like these as the Green Infrastructure plan gets integrated into street and sidewalk upgrades. 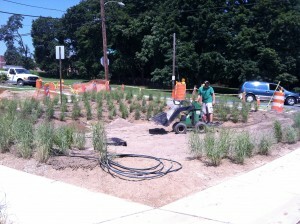 For more information on bioretention and rain gardens click here (PDF). 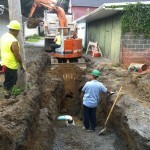 There are 28 miles of alleys in Lancaster City and many of them need repairs. 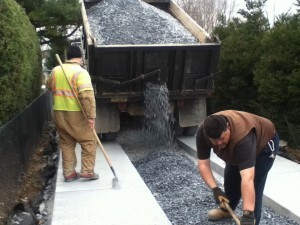 In an era of tight budgets, it pays to do two things at once. 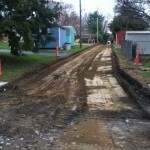 For more information on green streets and alleys click here (PDF). 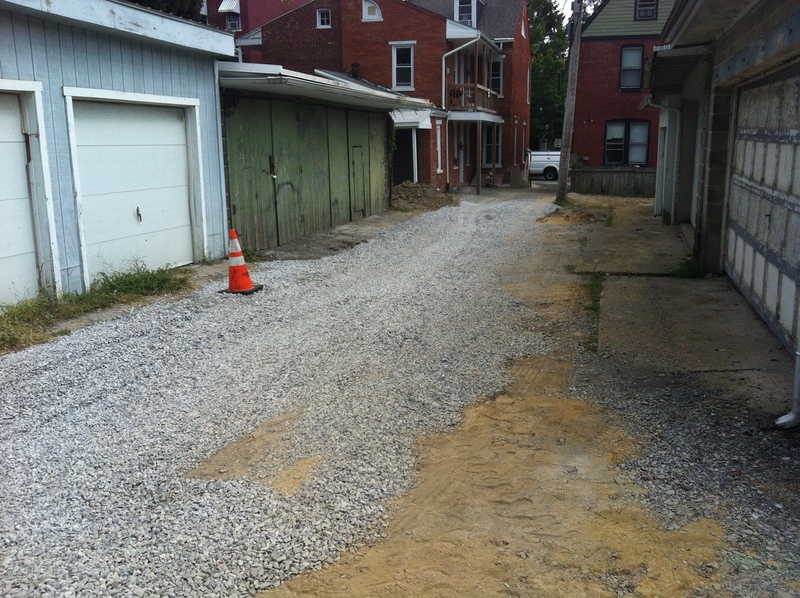 When the City prioritized which alleys it was going to fix this year, they took another look to see if any of them could become a little greener. 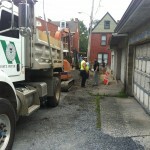 Here’s the story of Green Alley 148 (video) and an article that appeared in the Lancaster Intelligencer Journal. 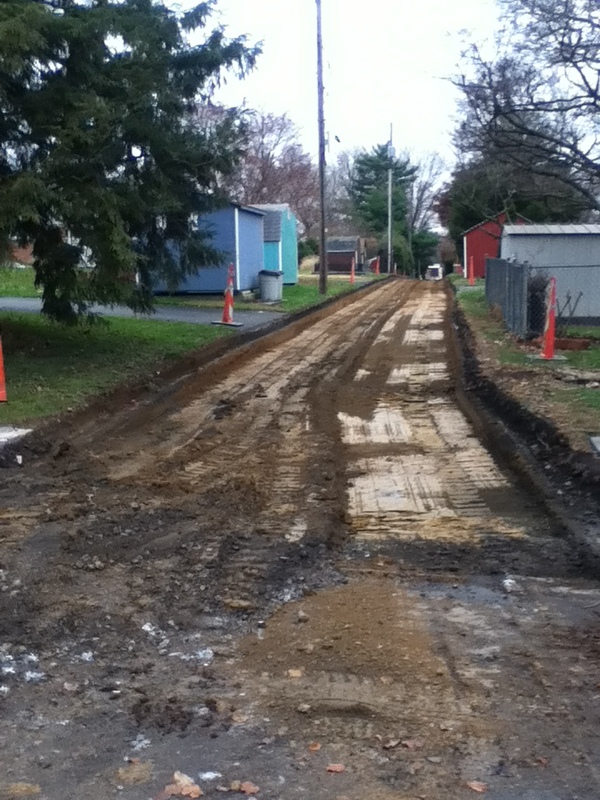 Green streets and alleys use the existing form and construction of roadways to allow the public right of way area to manage the runoff that it creates. Green infrastructure opportunities are implemented at lower overall costs when they are incorporated during street repaving or other street reconstruction activities.